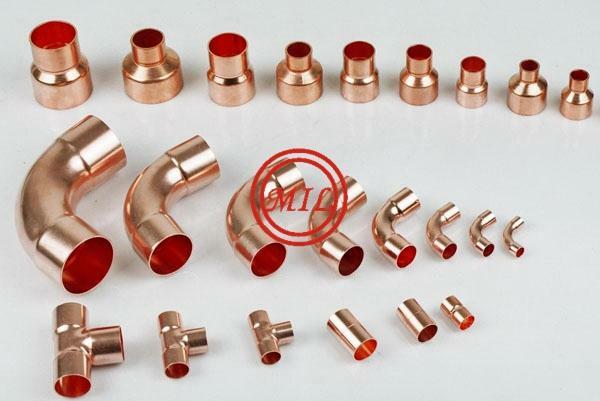 Copper Fitting is mainly used for air conditioner and Plumbing pipe connection.We can produce the products as per ANSI B16.22 , EN 1254-1 (BS 864-2),DIN2856,JIS H3401 standards. Suitable for air conditioner, central air conditioner, car air conditioner, air conditioning and evaporator, seawater, cold water , hot water , drinking water and steam , oil , gas , medical fas etc.Which are no more than150 in temperature. 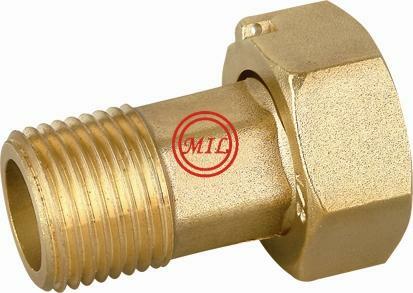 Cast bronze threaded fittings in class 125 and class 250 shall be manufactured to the requirements of ANSI/ASME B16.15 – Cast Bronze Threaded Fittings. 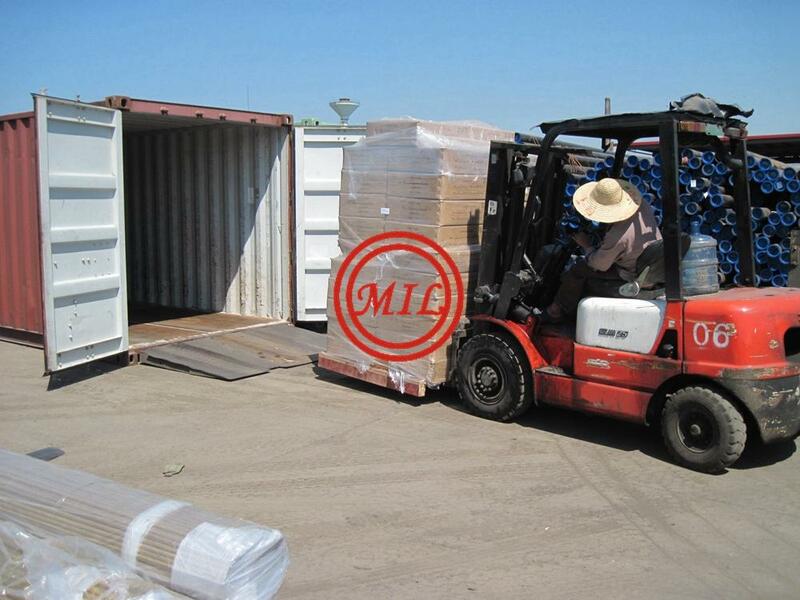 These fittings shall be produced to meet the general requirements of ASTM B 62, Alloy C83600 or the chemical and tensile requirements of ASTM B 584, alloys C83800 or C84400. Other alloys permitted for use to manufacture fittings from bar stock in smaller sizes for wrought plugs, caps, couplings and bushings shall meet the requirements of Alloy C36000 (Free Cutting Brass Rod, Bar and Shapes) or C32000 or C31400 (Leaded Brass). 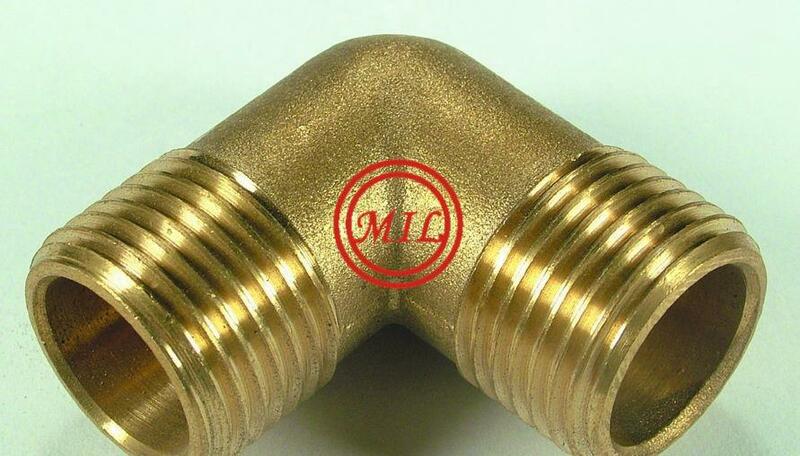 Essentially, the elemental make-up of these cast brass fittings is approximately but not exactly equal to 85% Copper (Cu), 5% Tin (Sn), 5% Lead (Pb) and 5% Zinc (Zn). These fittings shall be threaded in accordance with the requirements of ANSI/ASME B1.20.1 general-purpose pipe threads and the threads shall be tapered. Wrought couplings, caps, and bushings in nominal pipe sizes of 1/8”, ¼”, 3/8”, and ½” may have straight internal threads. Class 125 fittings shall be identified with the manufacturer’s name or trademark and Class 250 fittings shall be marked with the manufacturers name or trademark and the numbers “250”. The requirement for marking may be omitted from fittings that are deemed too small to provide adequate surface area for marking. 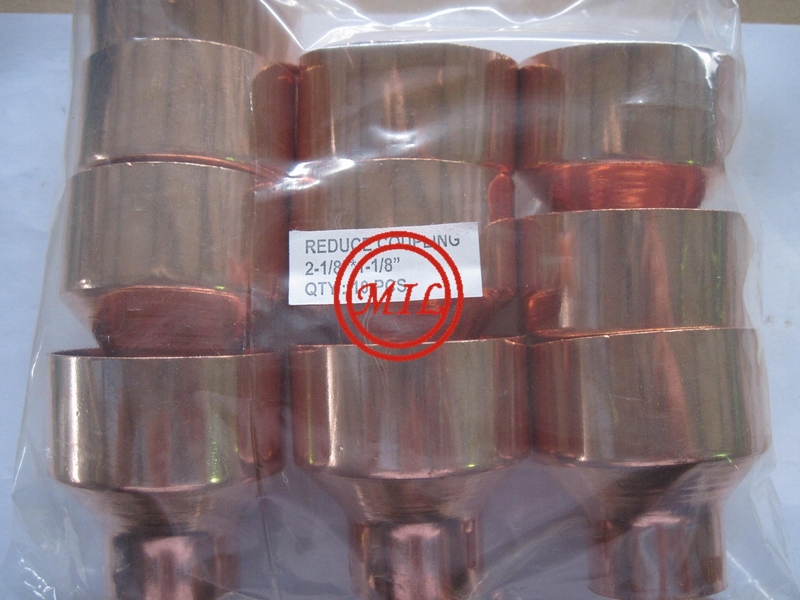 Cast copper alloy fittings used in solder joint applications are to be manufactured to meet the requirements of ANSI/ASME B16.18 – Cast Copper Alloy Solder Joint Pressure Fittings. 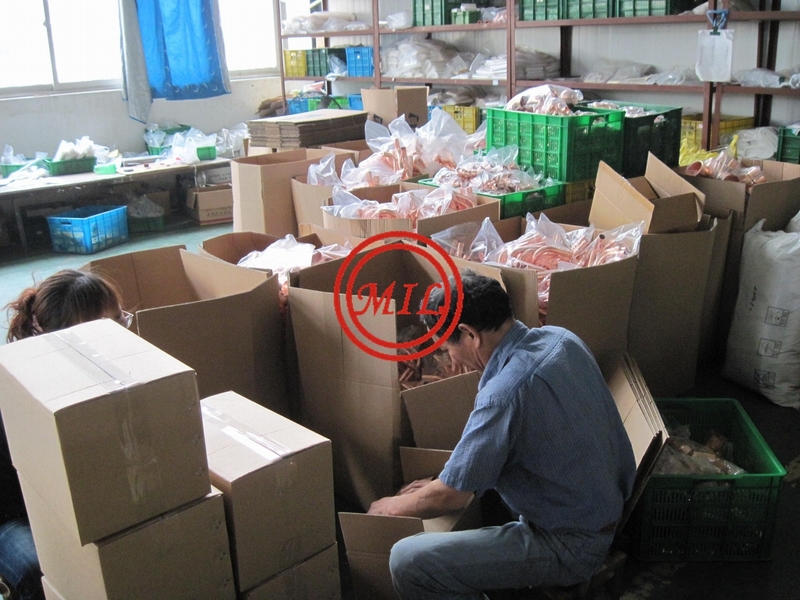 These fittings shall be produced to meet the general requirements of ASTM B 62, Alloy C83600 or the chemical and tensile requirements of ASTM B 584, alloys C83800 or C84400. 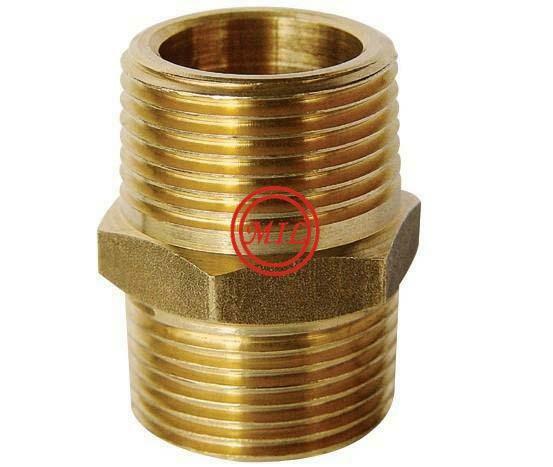 Essentially, the elemental make-up of these cast brass fittings is approximately but not exactly equal to 85% Copper (Cu), 5% Tin (Sn), 5% Lead (Pb) and 5% Zinc (Zn). These fittings (socket end diameter) are sized in accordance with the requirements of the ASTM B88 – Seamless Copper Water Tube (1/4” – 12” nominal diameters), while the sizes of any threaded connections (female or male) correspond to nominal pipe sizing. Marking of these fittings shall be in accordance with MSS SP-25. They shall bear a permanent mark indicative of the manufacturer’s name or trademark; although fittings in sizes less than ½” may have this requirement omitted. The actual burst strength of the fitting shall not be less than the burst strength, as computed, for type L seamless copper water tube of annealed temper. 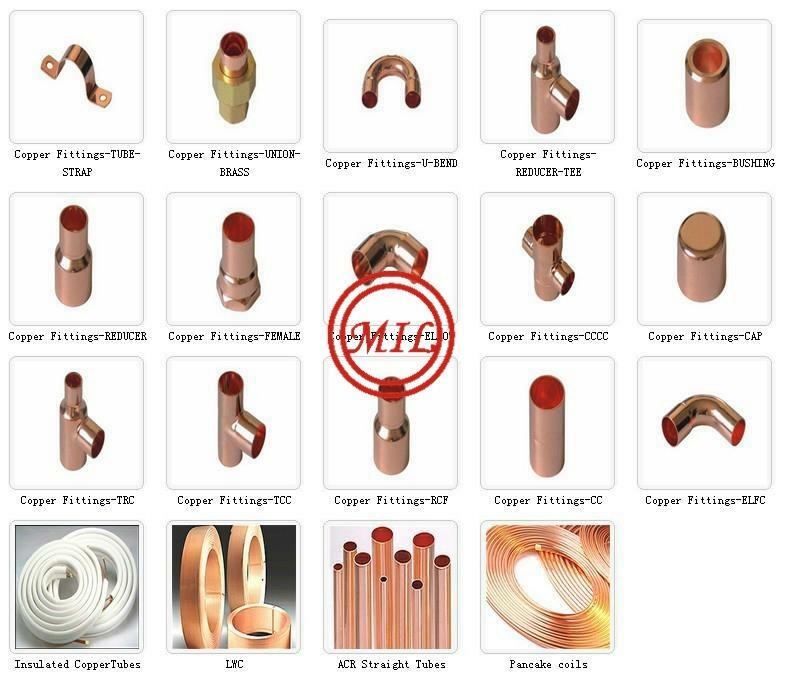 Wrought (Wrot) copper fittings used for pressure applications shall be manufactured to meet the requirements of ANSI/ASME B16.22 – Wrought Copper & Copper Alloy Solder Joint Pressure Fittings. 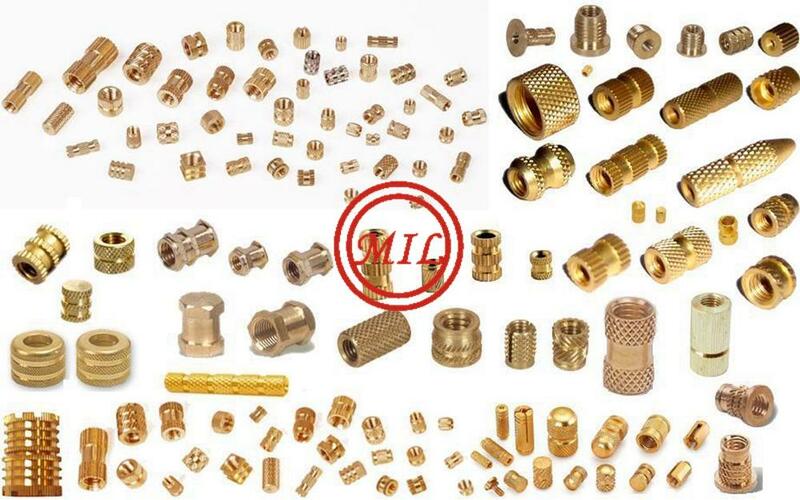 These fittings may be manufactured from any one of the following alloys: C10200, C12000, C12200, or C23000 or any copper alloy that contains at least 84% Copper (Cu) and a maximum of 16% Zinc (Zn). 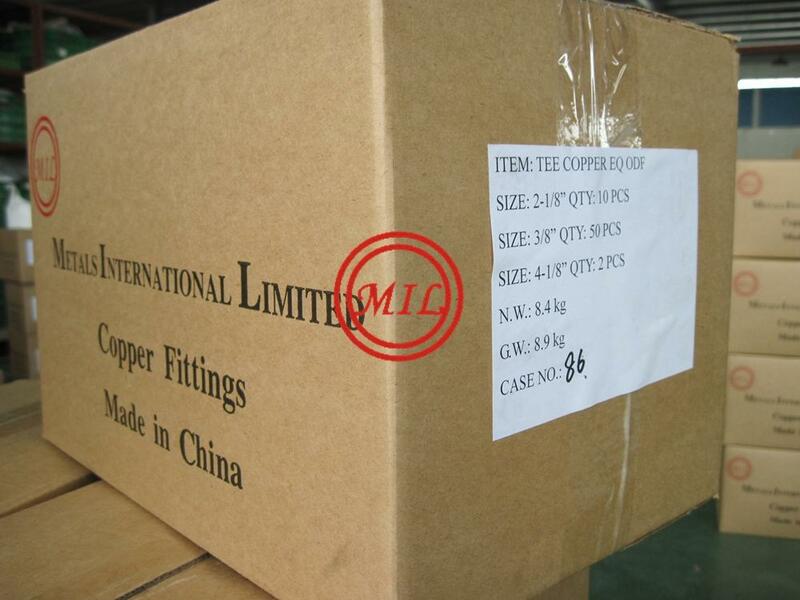 These fittings (socket end diameter) are sized in accordance with the requirements of the ASTM B88 – Seamless Copper Water Tube (1/4” – 12” nominal diameters), while the sizes of any threaded connections (female or male) correspond to nominal pipe sizing and the requirements of ANSI/ASME B1.20.1. 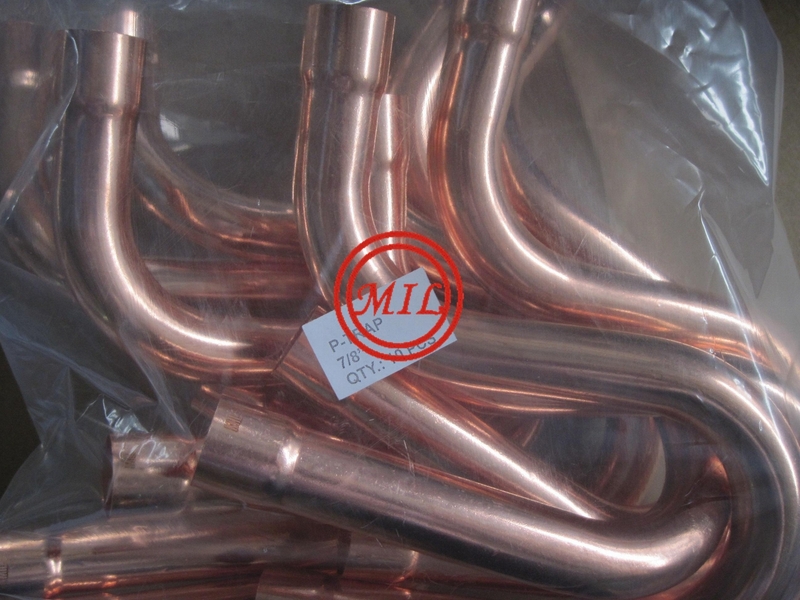 These fittings shall have a burst pressure approximately equal to four (4) times the rated internal working pressure of type L seamless copper water tube in annealed temper. Marking of these fittings shall be in accordance with MSS SP-25. They shall bear a permanent mark indicative of the manufacturer’s name or trademark; however, marking may be omitted from any fitting if it could damage the soldering surfaces. 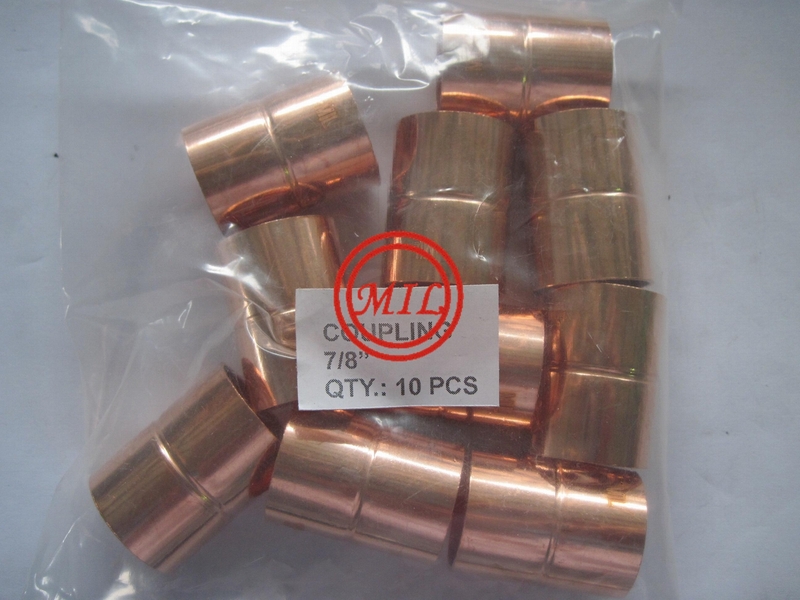 Cast copper alloy fittings used for drainage, waste , and vent applications with solder joints are manufactured to the requirements of ANSI/ASME B16.23 – Cast Copper Alloy Solder Joint Drainage Fittings – DWV. These fittings (socket end diameter) are sized in accordance with the requirements of the ASTM B306 – Copper Drainage Tube (1¼” – 8” nominal), while the size of any threaded connections (female or male) correspond to nominal pipe sizing (slip-joints are excepted). Drainage fittings are required to be identified (marked) with a permanent mark containing the manufacturer’s name or trademark and “DWV”. Vent fittings shall be identified with the words “VENT ONLY” and have the manufacturers name or trademark permanently marked in accordance with MSS SP-25. All 90? ?fittings shall be pitched so that a slope of 0.25 in./ft. (2.1%) is developed in horizontal tube as referenced along a horizontal plane. Cast copper alloy flanges or flanged fittings shall be manufactured to the requirements of ANSI/ASME B16.24 – Cast Copper Alloy Pipe Flanges, Flanged Fittings, Class 150, 300, 400, 600, 900, 1500 and 2500. 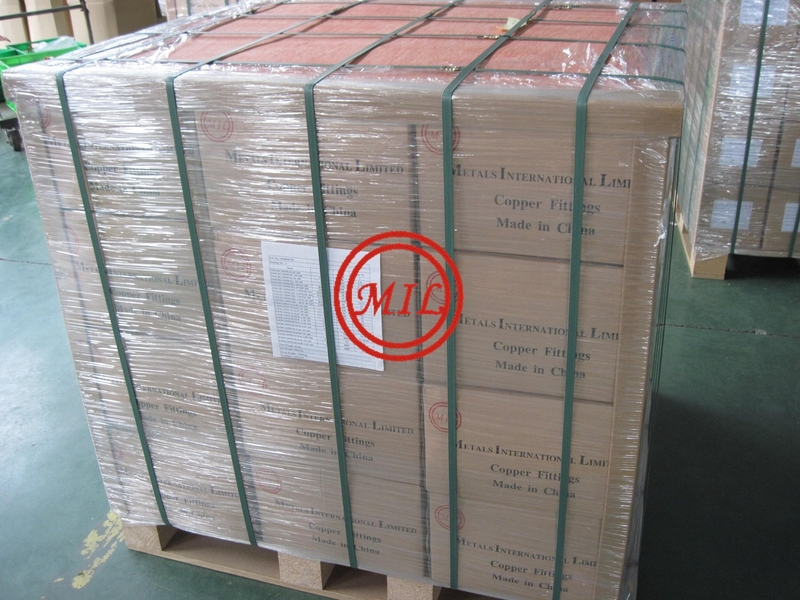 Cast copper alloy flanges may be manufactured from alloy C83600 a leaded red brass alloy, C922200 a leaded tin bronze alloy, or C95200 an aluminum bronze alloy. These alloys are about 85 – 86% copper (Cu) with other elements making the remainder. Flanges and flanged fittings shall be identified with the manufacturer’s name or trademark along with the ASTM specification number, the rating class for which the flange was designed (i.e., 150, 300, etc. ), and “B16” to indicate the flange conforms to the requirements of this standard. The nominal size shall be included, although it may be omitted from reducing flanges and reducing flanged fittings. Cast copper alloy flanged fittings may be manufactured from alloy C83600 a leaded red brass alloy or C922200 a leaded tin bronze alloy. Flanges and flanged fittings furnished to this standard have the same flange diameters and drilling templates (bolt hole arrangement and size) as prescribed in ASME/ANSI B16.1, B16.5, and B16.42. Gasketing and bolting materials for use with cast copper flanges and flanged fittings shall be as prescribed in the applicable ANSI or ASME standards. 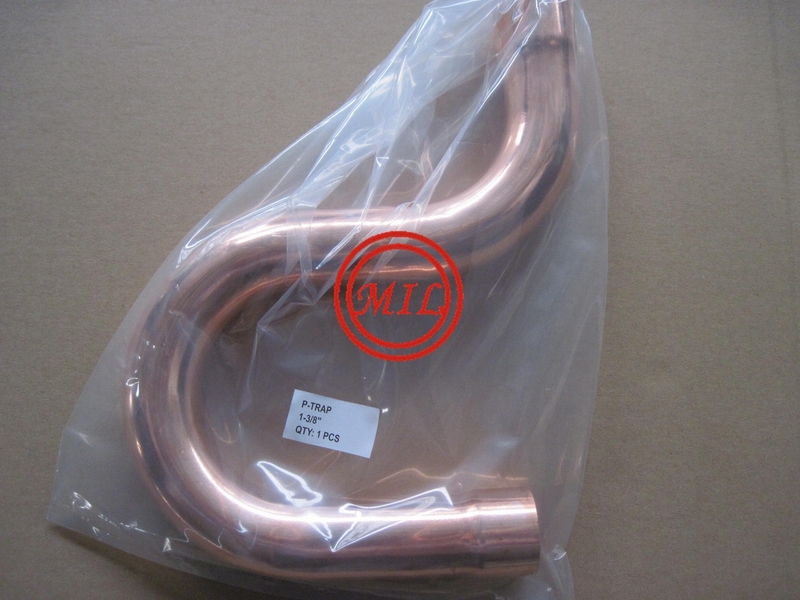 Flared fittings for use with flared copper tube for cold water applications with a maximum water pressure of 175 psig are manufactured to the requirements of ANSI/ASME B16.26 – Cast Copper Alloy Fittings for Flared Copper Tubes. These flared fittings are limited in size from 3/8” nominal to 2” nominal as designated by ASTM B88 for Seamless Copper Water Tube. Marking of these fittings is limited to the manufacturer’s name or trademark and that identification may be omitted form fittings less than ½” nominal size. 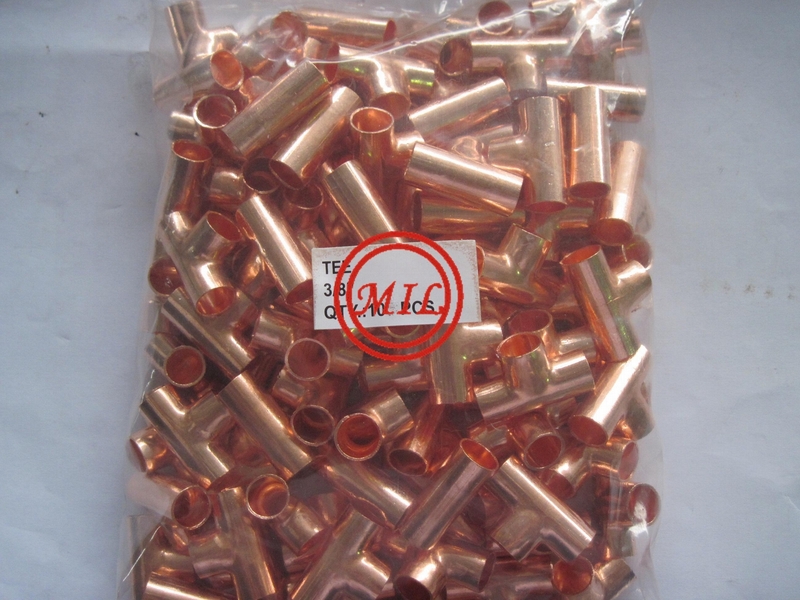 Wrought (wrot) copper alloy fittings used for drainage, waste, and vent applications with solder joints are manufactured to the requirements of ANSI/ASME B16.29 – Wrought copper And Wrought Copper Alloy Solder Joint Drainage Fittings – DWV. Fittings manufactured to this standard are to have a copper (Cu) content of not less than 84%. These fittings (socket end diameter) are sized in accordance with the requirements of the ASTM B306 – Copper Drainage Tube while the size of any threaded connections (female or male) corresponds to nominal pipe sizing (slip-joints are excepted). Drainage fittings are required to be identified (marked) with a permanent mark containing the manufacturer’s name or trademark and “DWV”. All 90 degree fittings shall be pitched so that a slope of 0.25 in./ft. (2.1%) is developed in horizontal tube as referenced along a horizontal plane. Braze fittings (socket end diameter) are sized in accordance with the requirements of the ASTM B88 – Seamless Copper Water Tube (1/4” – 8” nominal diameters), while the sizes of any threaded connections (female or male) correspond to nominal pipe sizing and the requirements of ANSI/ASME B1.20.1.